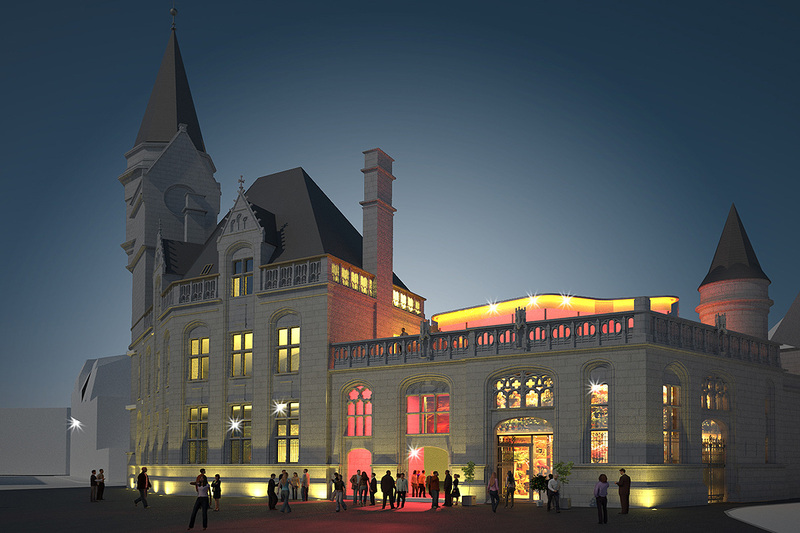 The Grand Poste restoration project in Liège marks an additional milestone in the expertise of ALTIPLAN° architects in terms of the restoration of heritage-listed structures. The Grand Poste building, designed by the architect Jamar and opened in 1901, today provides the heart of the Cathédrale Nord area in Liège. The project under development is designed to re-incorporate this heritage-listed monument within the area’s social and economic fabric. 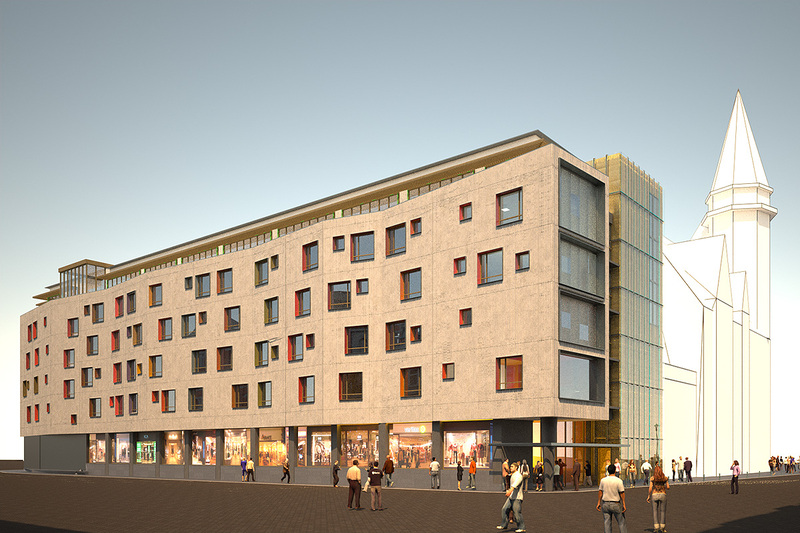 The private developer who has undertaken this objective proposes to develop a series of retail businesses over two floors as well as a 125-room hotel, to be built on the Grand Poste’s former car park. 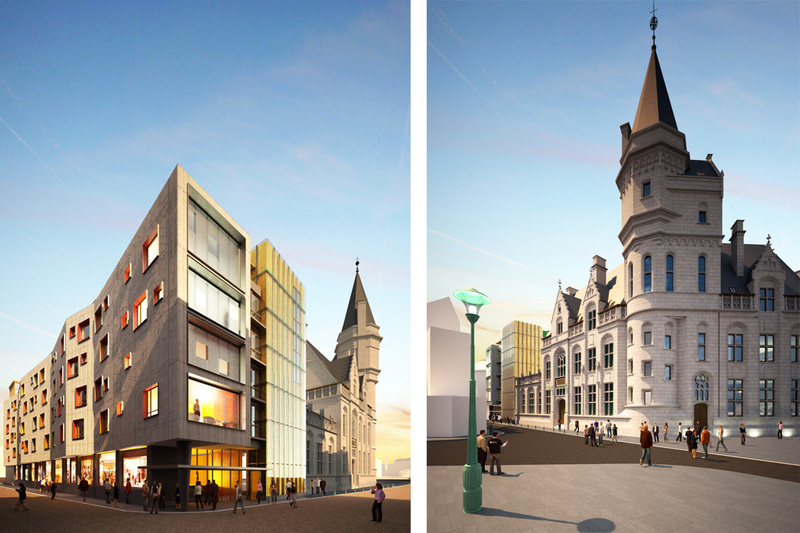 The commercial complex will optimise the building’s extensive heritage qualities. On the one hand the ticket hall will be converted into a commercial space which extols the iron/steel structure and overhanging glass roofs of the three aisles. On the other hand the vaulted areas in the basement levels will be earmarked for hospitality and food outlets. The project being developed by ALTIPLAN° proposes a subtle integration of contemporary technical constraints while preserving the building’s historical qualities. The project, having already been awarded a heritage certificate, is currently seeking planning permission.